It's not what you're expecting. 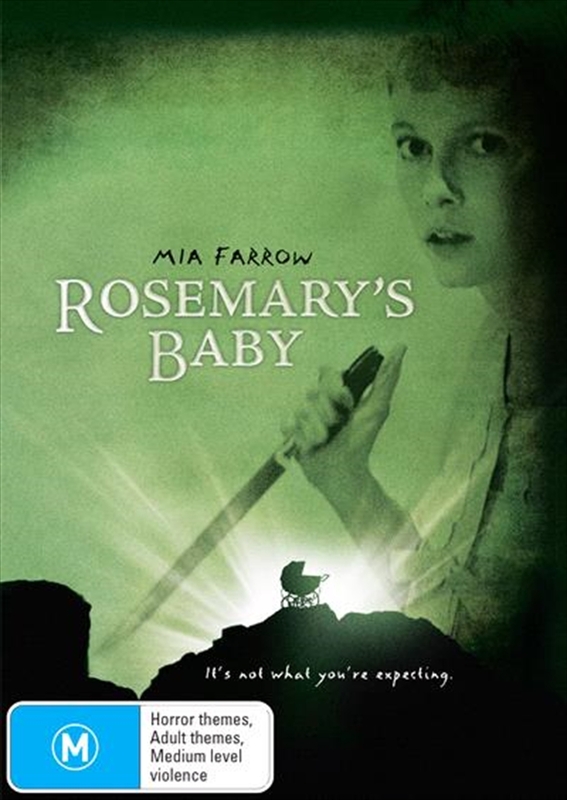 Terrifying and darkly comic, Rosemarys Baby marked the Hollywood debut of Roman Polanski (Repulsion). This wildly entertaining nightmare, faithfully adapted from Ira Levin's best seller, stars a revelatory Mia Farrow (Hannah and Her Sisters) as a young mother-to-be who grows increasingly suspicious that her overfriendly elderly neighbors, played by Sidney Blackmer (High Society) and an Oscar-winning Ruth Gordon (Harold and Maude), and self-involved husband (actor and filmmaker John Cassavetes) are hatching a satanic plot against her and her baby. In the decades of occult cinema Polanskis ungodly masterpiece has spawned, its never been outdone for sheer psychological terror.